On 18th of July, MARUAH celebrated International Nelson Mandela Day with an evening of music, poetry and tributes to Nelson Mandela. The day was designated by United Nations as International Nelson Mandela Day in 2009, in commemoration of Nelson Mandela’s fight for democracy and human rights. We sent out invites asking everyone to join us in honouring the man and celebrating his life and legacy. This was the first time MARUAH has held Mandela Day celebrations and the response and positivity towards the event was heart-warming. The Mandela Day message is simple; it is a call to action; for people to take responsibility for improving their communities. 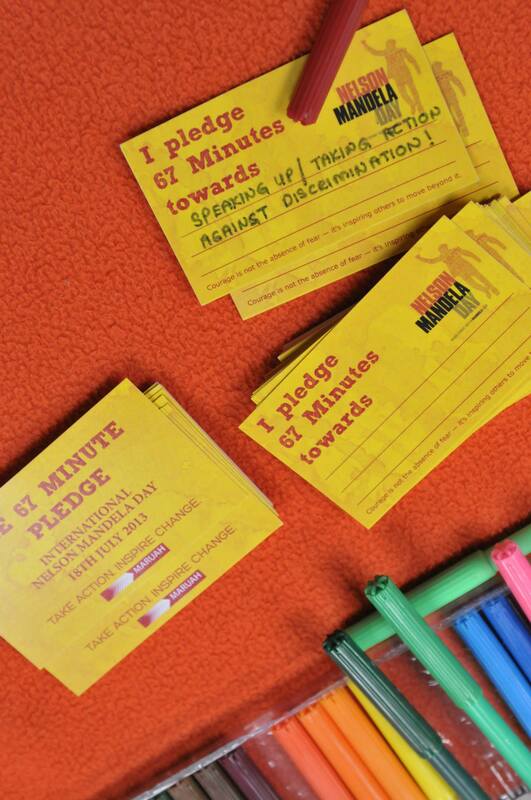 In line with this message to “Take Action & Inspire Change”, MARUAH encouraged participants to take the 67 Minute Pledge. The Pledge pays tribute to Nelson Mandela’s 67-year struggle for democracy and human rights, by ensuring that this legacy lives on through each and every one of us. Participants were encouraged to pledge 67 minutes or one minute for every year of Mandela’s struggle for democracy, towards upholding the values of peace, humanitarianism and democracy that Mandela fought for. From standing up against discrimination and treating others with dignity, to staying informed of what is being discussed in Parliament, the 67 Minute Pledge gives each of us the opportunity to effect change within our communities. The evening’s celebrations attracted people from all walks of life. People came to learn about Mandela and to share how he influenced and inspired them. Former ISA detainee, Ms. Teo Soh Lung opened the event by talking about what Nelson Mandela meant to her. Speakers included undergraduates, lawyers, civil society activists, politicians and laypersons. Some shared personal reflections; others made comparisons between Nelson Mandela and political detainees such as Chia Thye Poh (who was detained under the ISA). There were also poetry readings. 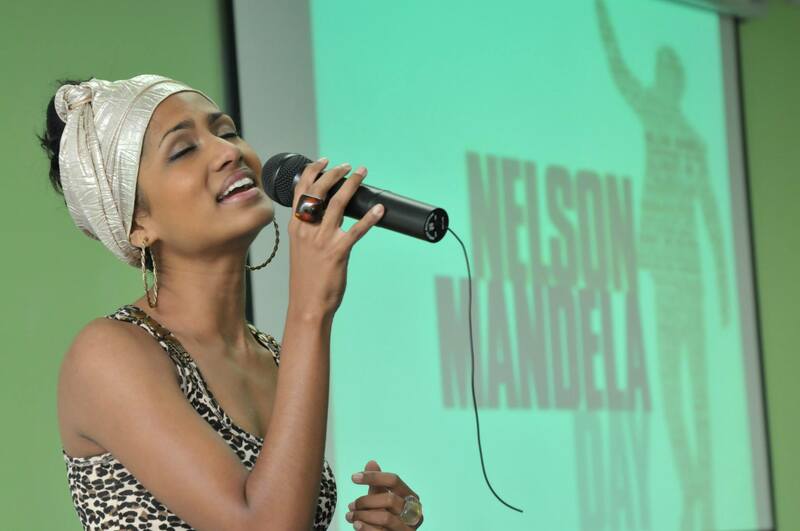 The very talented Ms. Michaela Therese provided the evening’s music and paid tribute to Mandela with her rendition of Michael Jackson’s “You Were There”. Michaela also closed the event with a hauntingly beautiful rendition of Bob Marley’s “Redemption Song”. To all who came to honour Nelson Mandela, we thank you and we hope that you will join us in our 67 Minute Pledge to Take Action and Inspire Change. More photos can be found at our Facebook album. This entry was posted on Saturday, August 10th, 2013 at 12:25 am and is filed under Event reports. You can follow any responses to this entry through the RSS 2.0 feed. You can leave a response, or trackback from your own site.